Book one of my Bread Making Classes & learn how to make *honest* healthy bread. Bread is one of the oldest prepared foods, with nearly 6,000 years of recorded history, beginning with the extraction of starch from plants and cooking it over a flat stone, now known as flatbread. With the rise of refined agricultural practices grains became the mainstay of making bread as the grains' ubiquitous yeast spores allowed for dough left to rest to rise or to 'leaven' naturally. I am an award winning baker with a micro bakery where I bake to order for the community and supply bread for various events and functions in the area. 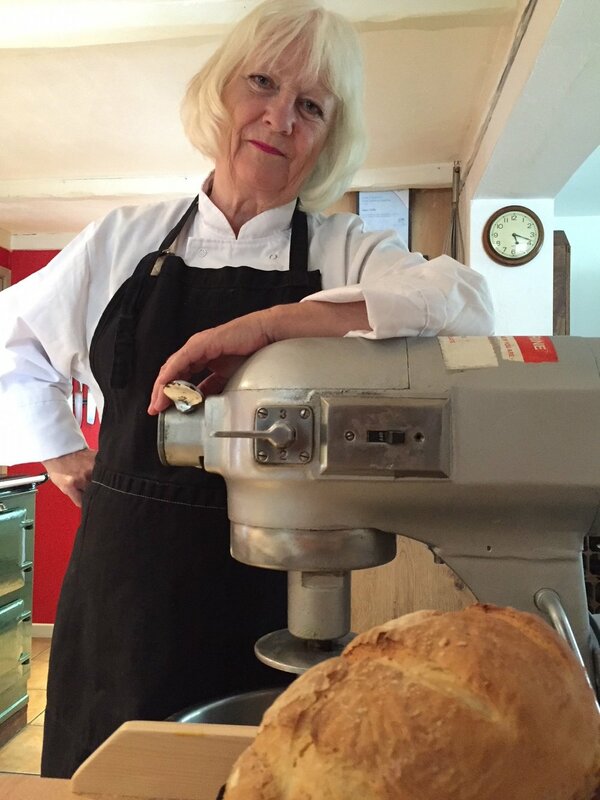 I conduct bread making classes in my cottage kitchen in Aston, Hertfordshire. The introductory course is ideal for those who would like to bake healthy, honest bread, but have never tried making bread before, or had a go but ended up with loaves that were 'not quite right'. You will learn how to knead a basic dough, how the dough should 'feel' in hand and recognise how it behaves during various baking stages. These 3 essential skills require practice and are the core foundation of successful bread making - a tactile experience that you can never learn from books or YouTube. I am proud to be a member of both the esteemed Bread Angels network and the superb Real Bread Campaign. The course costs £85 per person which includes a light, tasty lunch and runs from 10.30 to 15.00, although people enjoy themselves so much it often runs on for longer! Aston is located just 4 miles off the A1(M) and 7 mins drive from Stevenage mainline railway station with a frequent service to / from London Kings Cross. Peterborough and Cambridge. I can pick you up from the station by prior arrangement. Park in the Village Hall car park, just 150 metres away from the venue. Ignore restricted parking signs, our parking is sanctioned by the Aston Village Hall Society . It is worth noting that relentless pursuit of profit has created a modern, deceptive bread industry - resulting with the majority of commercially available bread we consume today not only tasting rubbish but is full of rubbish. The Chorleywood Bread Process which has been used in this country since the 1960's, churns out bread of unparalleled tastelessness. It’s cheap to produce but, contrary to popular belief, contains many additives - including Flour Treatment Agent - which make this process possible.